Turn left onto Eastoke Avenue & continue for 0.4 miles. 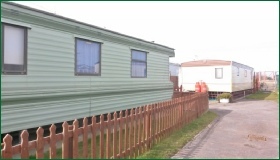 The Binnacle Caravan Park is on the left hand side. 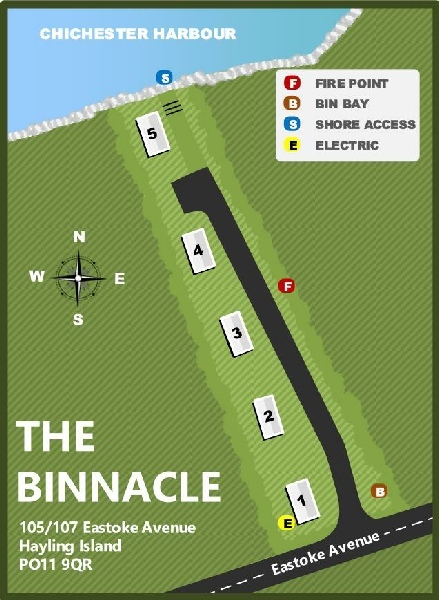 With just five pitches, The Binnacle is one of the smallest parks on Hayling. Situated in the south eastern corner of the island, it lies adjacent to Chichester Harbour. It has private access onto the foreshore by way of a pedestrian gate.